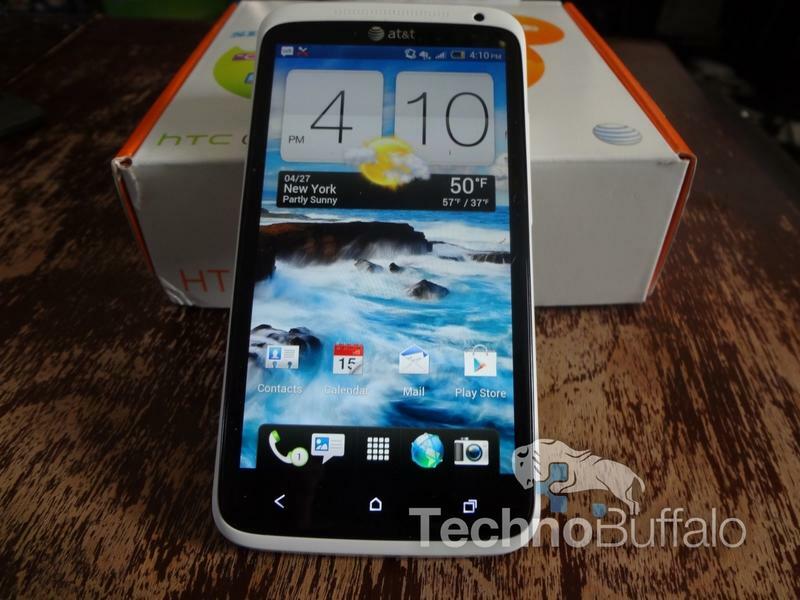 We fell in love with the international HTC One X and we've also just spent the past several days with AT&T's 4G LTE model. 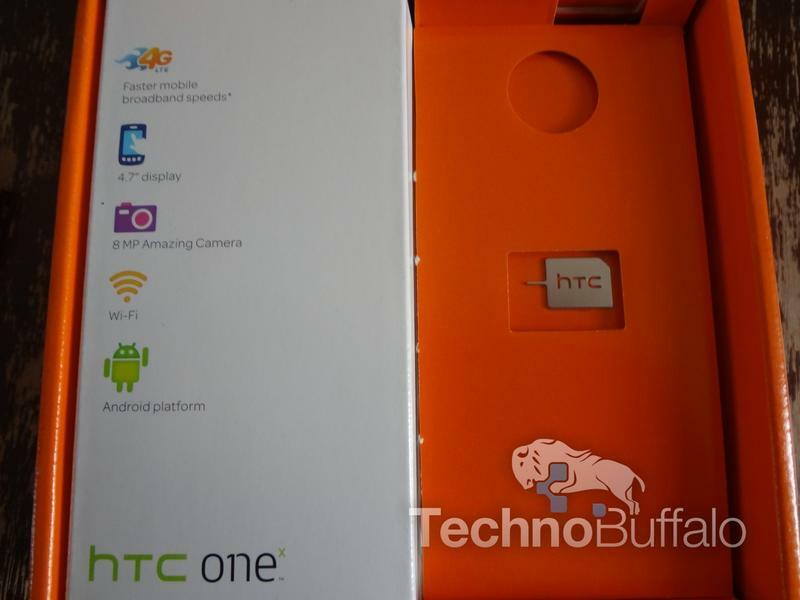 There are few differences between the two phones; the most noticeable of which is AT&T's decision to launch the One X with 4G LTE support and a dual-core Qualcomm Snapdragon S4 chip instead of NVIDIA's quad-core Tegra 3 chip. That may be a big deal for gamers, since we saw a big performance difference between the two chips, but AT&T customers will no doubt love the 4G LTE connectivity. 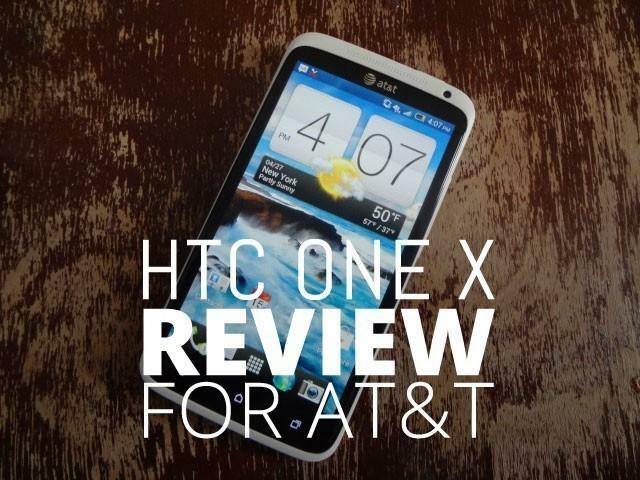 Let's take a deeper dive into the One X for AT&T. AT&T's One X is pretty much identical to the international version as far as outside industrial aesthetics go. 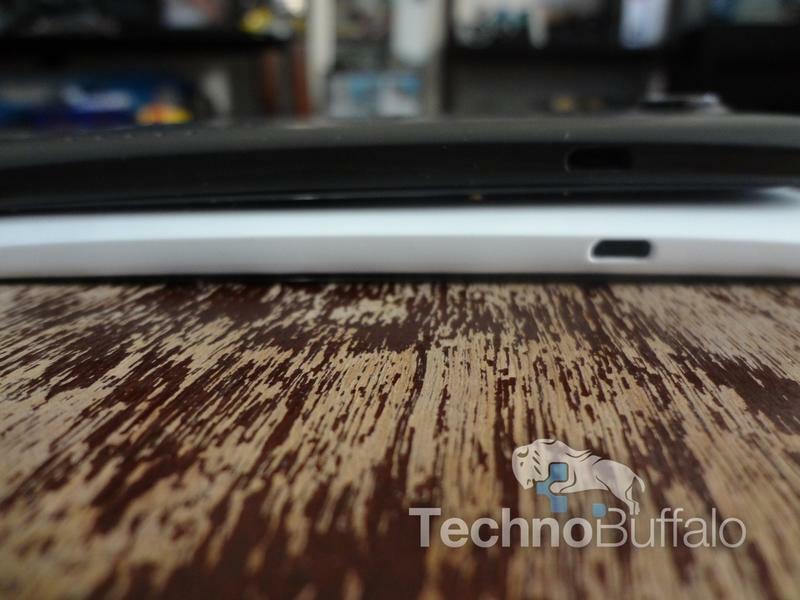 The device is amazingly thin at 5.3 x 2.75 x 0.36 inches and weighs 4.6 oz. That's one ounce heavier than the international version and it's perhaps due to the 4G LTE chip inside. All of the ports and doohickies are in the same places: there's a 3.5mm headphone jack up top flanked by a power button and a microSIM slot, volume controls in easy reach on the right-hand side, a microUSB charging port on the top left and a power button. The back of the phone is home to an 8-megapixel camera, with a beautiful metallic volcano rising around the lens, and a single LED flash. 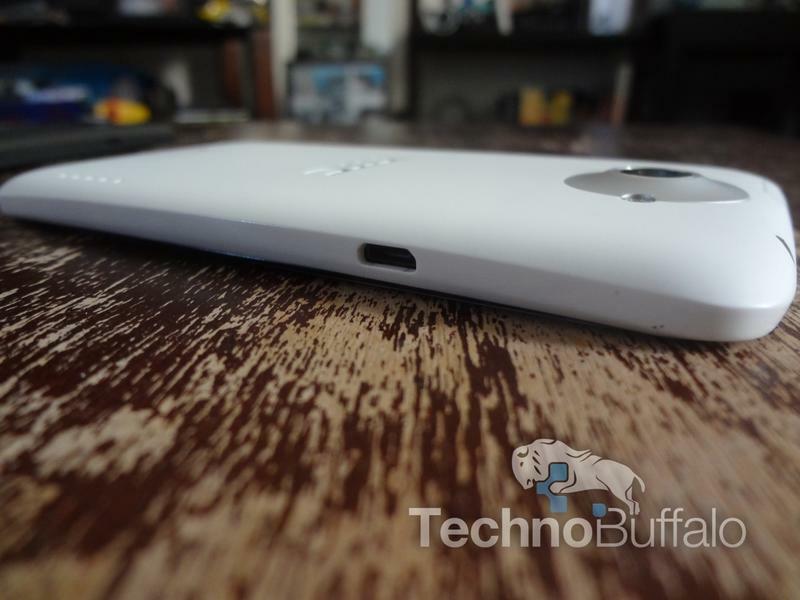 We received a matte-white review unit, which is beautiful, but it did get gunked up from time-to-time. Thankfully, it was easy to wipe away any impurities my grimy fingers added to the phone. The display is really going to blow your socks off. It measures 4.7-inches with a 1280 x 720 -pixel HD resolution, which looks super sharp (It makes qHD displays look like a pixelated mess). Text on every website was super crisp and videos and photos look amazing. The white border around the unit almost makes content seem like its actually popping off of the screen. I could probably drool on forever on how amazing the screen is but there's a lot to cover here so we'll move on. I wouldn't be surprised if AT&T sells a ton of units simply for the screen alone, though. As I noted earlier in the review there are a few hardware changes under the hood. 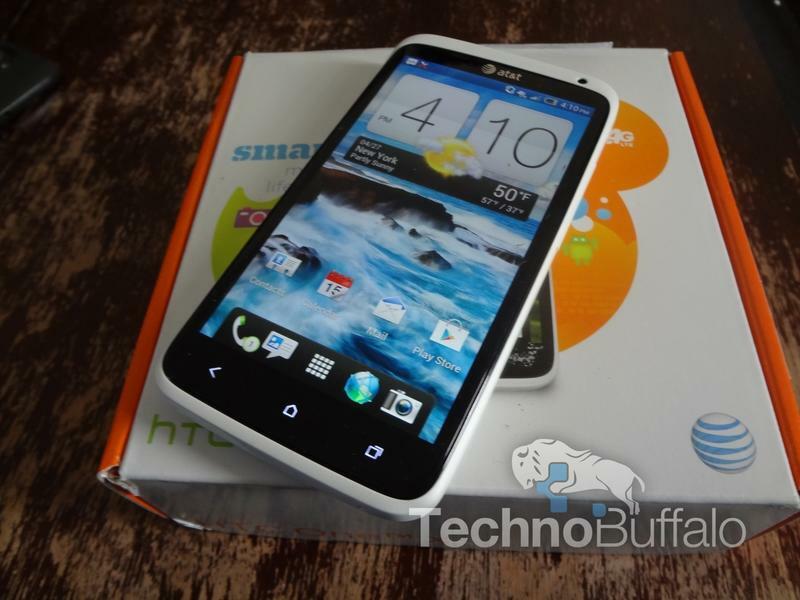 AT&T included 16GB of storage, not 32GB, and it also opted to equip the phone with Qualcomm's dual-core Snapdragon S4 processor. Contrary to popular belief, that decision was made not because NVIDIA's Tegra 3 chip doesn't support LTE — it does, the company has already provided demo tests at Mobile World Congress and has announced partnerships with several chip providers – but likely because Qualcomm has already been tapped as a partner for providing 4G LTE chips and its Snapdragon S4 plays nicely from the get-go. There's also a 1,800 mAh battery good for up to 8.5 hours of talk time and support for HTC's MediaLink technology for mirroring your phone on an HDTV. That support will require a separate $90 accessory that's not yet available, however. 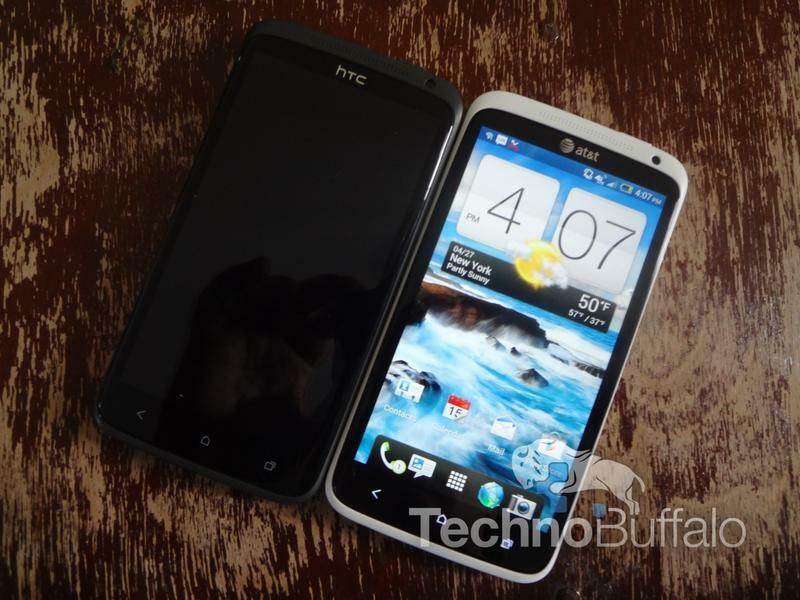 Just like the international version of the HTC One X, AT&T's model runs Android 4.0 Ice Cream Sandwich, the latest version, with HTC's newest Sense 4 UI on top. 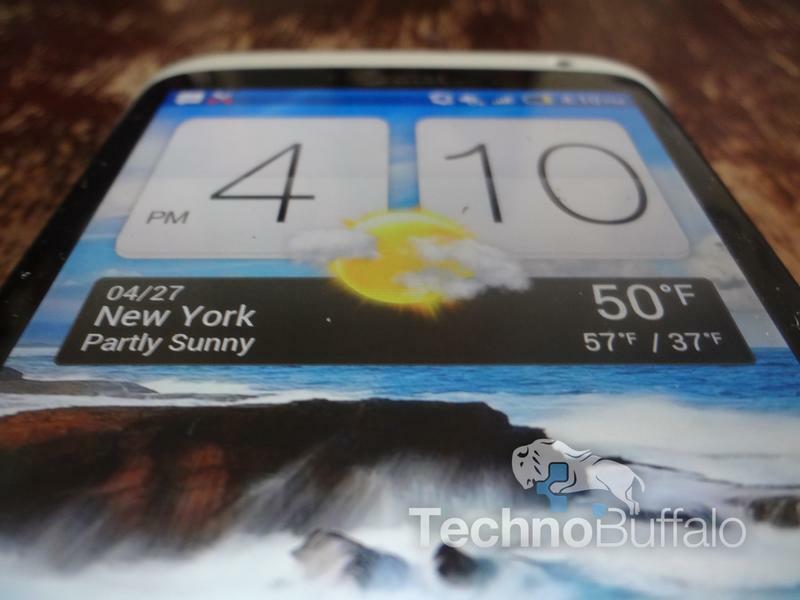 I love Sense 4, it's arguably the best iteration of Sense yet and the best software overlay on the market today. 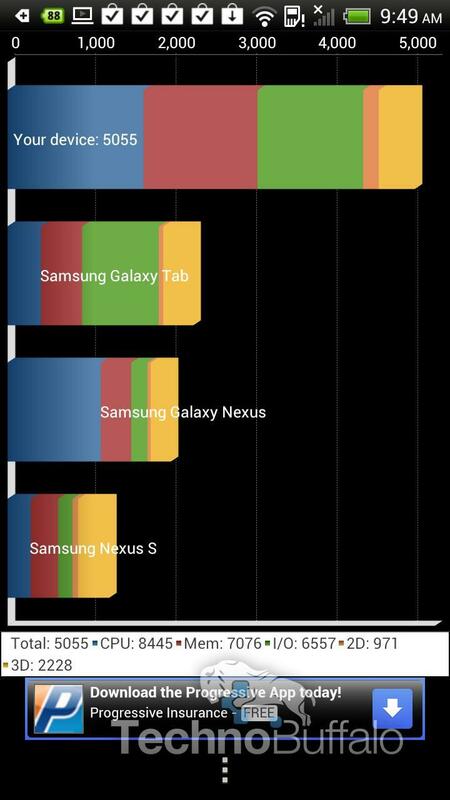 The phone's Qualcomm Snapdragon S4 processor handles the overlay so easily that it's really not intrusive at all. In fact, it offers several enhancements that I love. 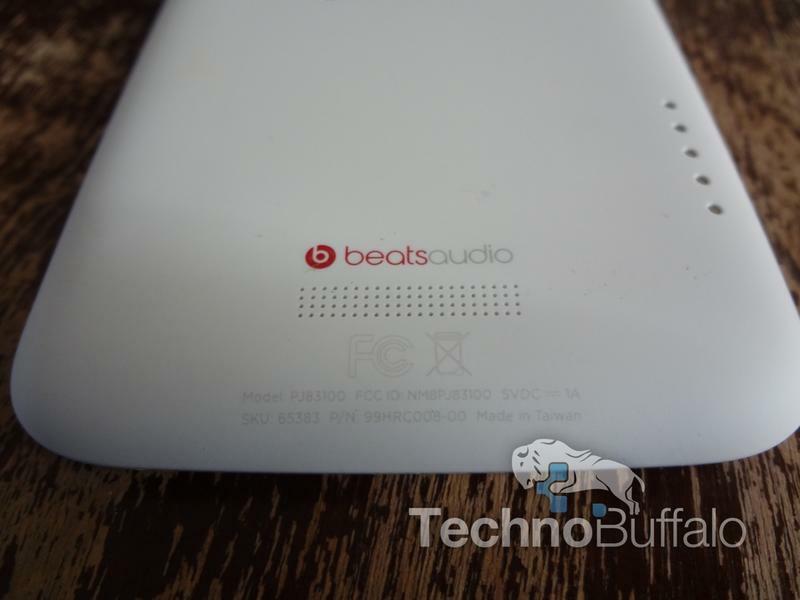 Beats Audio now supports all audio. I loved listening to cached Spotify songs that are enhanced with Beats Audio. There's a noticeable difference if you turn the feature on and off and users should appreciate that it now supports third-party applications, games and much more. ImageSense is seriously mind blowing. 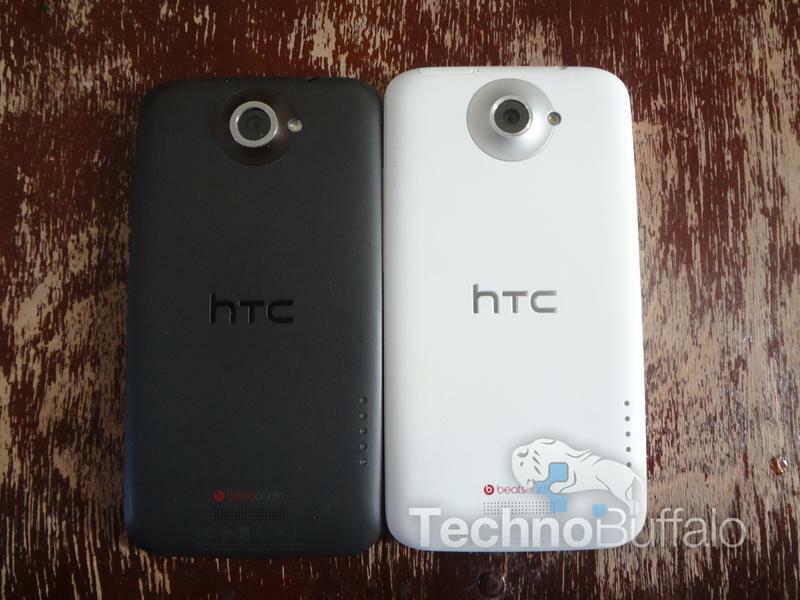 It was developed by HTC and allows you to snap photos in just 0.7 seconds and auto-focus in 0.2 seconds. I'll discuss this more in the camera section of my review but in general you should just know that ImageSense rocks, and so does the camera on the HTC One X. Sense 4 also adds a new feature that allows you to read articles offline or view them without images inside the web browser. It's a simple "Read" button next to the URL inside your web browser and, like InstaPaper or other competing services, you can quickly load a page in full text and avoid online advertisements. It's great for saving articles to read later, too. I also liked being able to customize the lock screen with weather reports, social network updates, new photos, stock quotes and much more. I still keep mine defaulted to the weather because I find it the most useful, but I'm madly in love with what HTC has done here. 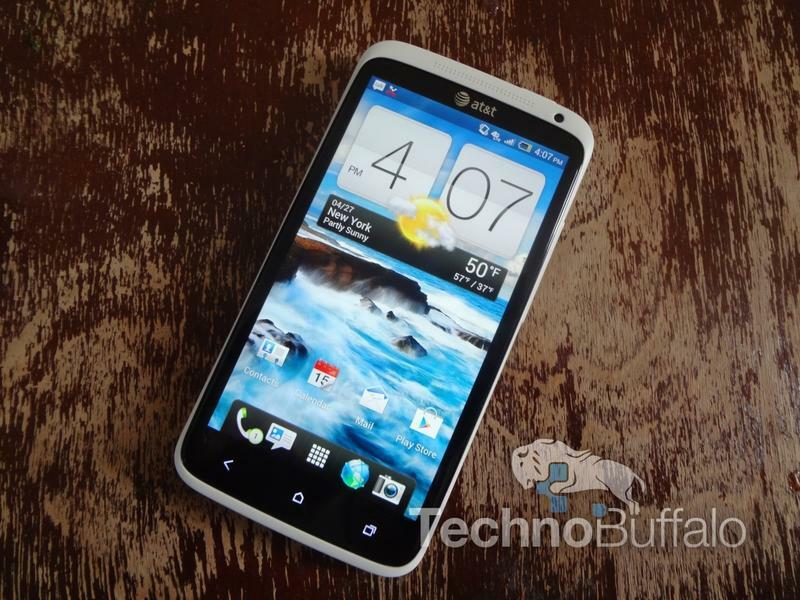 The phone offers a custom experience that any user will appreciate – seriously, there's nothing I can find that I dislike about Sense 4. 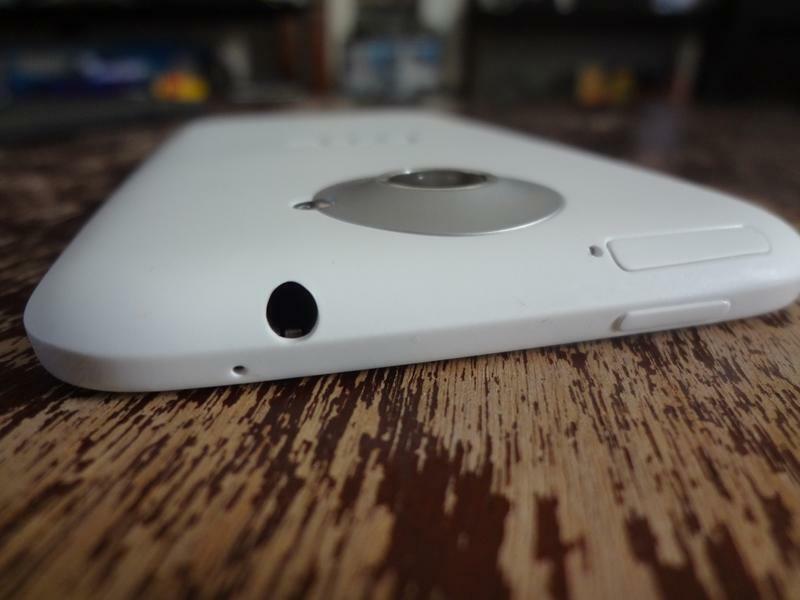 The HTC One X camera would be the star of the show if every other thing I can think of wasn't so awesome as well. 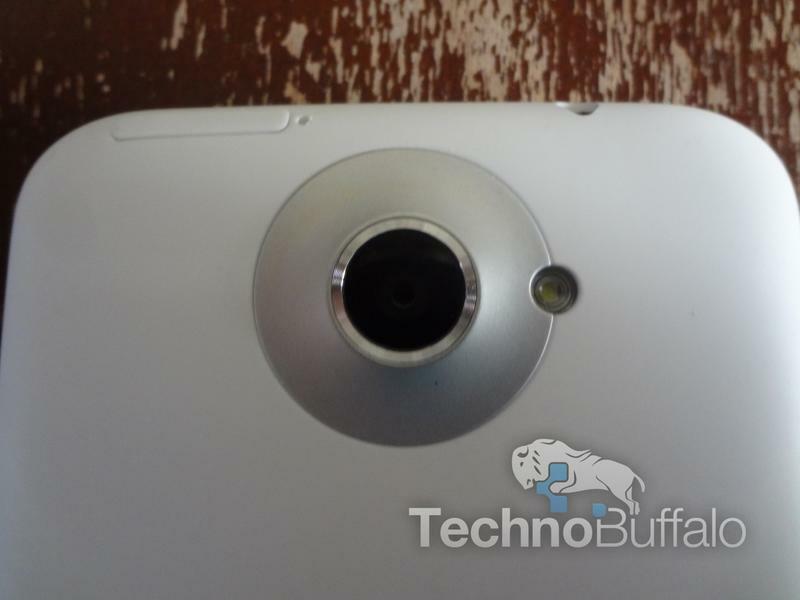 As I noted above, it's capable of capturing images in just 0.7 seconds and auto-focusing in 0.2 seconds. That speed is insane and ahead of any other mobile phone's camera on the market today. I've wowed plenty of friends snapping 10-15 photos in just a few seconds and then choosing the "Best Photo" option. It's incredible and you need to see it for yourself to believe it. 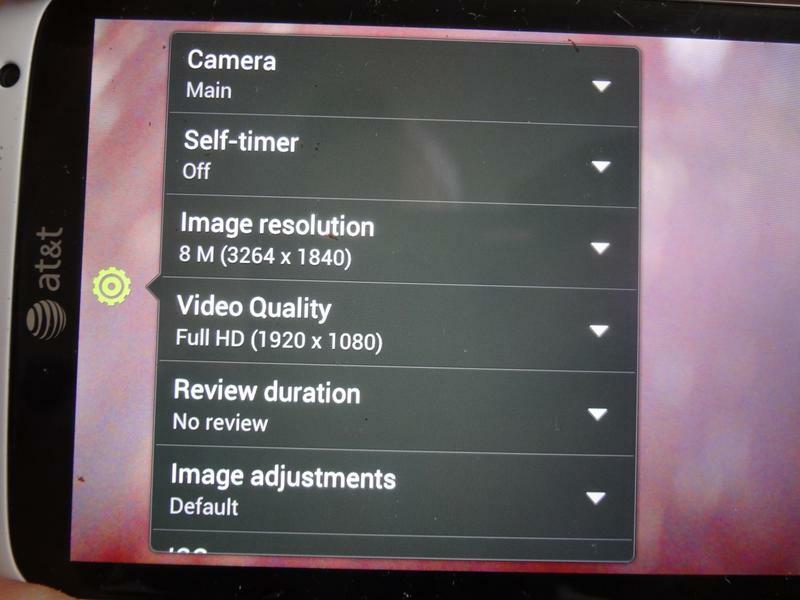 ImageSense also adjusts the phone's flash appropriately depending on how bright/dark a room is that you're shooting in. It works well in general but I've found that it's really not that great when it comes to shooting in really dark rooms while a subject is moving. For example, my friend and I were competing at a basketball shooting game in an arcade and the photos I took of him were mostly blurry. That's not an issue with my budget point-and-shoot. Shots of other objects in the dark looked really good, though, so it's just a matter of what you're shooting. I took the phone's 1080p HD video camera for a spin at my friend's concert and was really pleased with the quality: Frame rates were great, there wasn't any distortion in color and I didn't have any pixilation or noise in the video. There was a bit of a glow around the main singer when I played it back on my computer, but overall I was pleased with the low-light performance. Outside I found the image wasn't as crisp as I've seen from other phones — colors were beautiful but palm trees and bushes look a bit blurry when I played the video back on my computer. Pictures shot during this concert, without flash, were also exceptionally solid. The flash actually ruined several photos, so you'll want to keep that in mind with the One X and try to use flash as infrequently as possible. I found I was typically getting between 8Mbps and 11Mbps for download speeds in New York City while I had a 4-5 bar 4G LTE signal. Upload speeds were a bit unusual here, however, as I found them hovering just around 1Mbps for several tests. I typically see speeds around 5Mbps on other phones. Your mileage will vary depending on the 4G LTE market you're in, however. 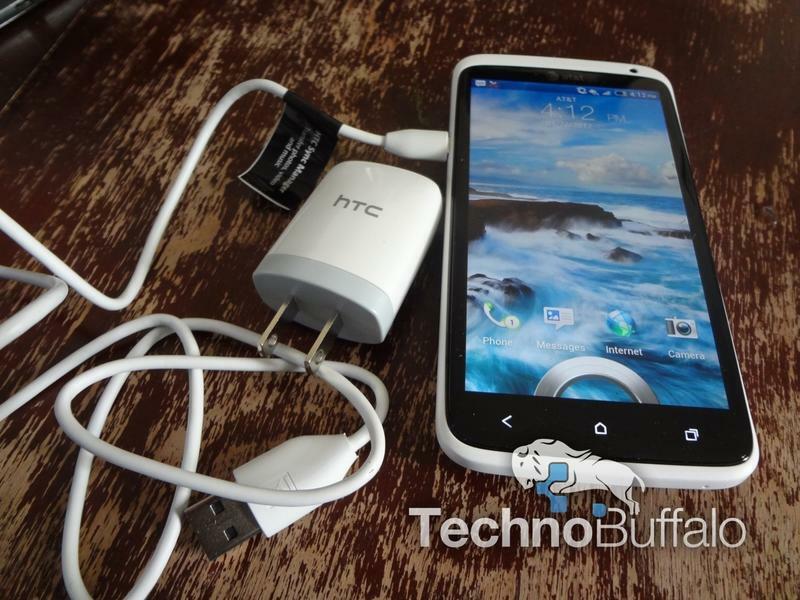 I placed several calls on the HTC One X in NYC using my own SIM card and have very few complaints. Oddly the speakerphone wasn't loud enough for me, in general, and I wish I could have hiked up the volume a few notches. 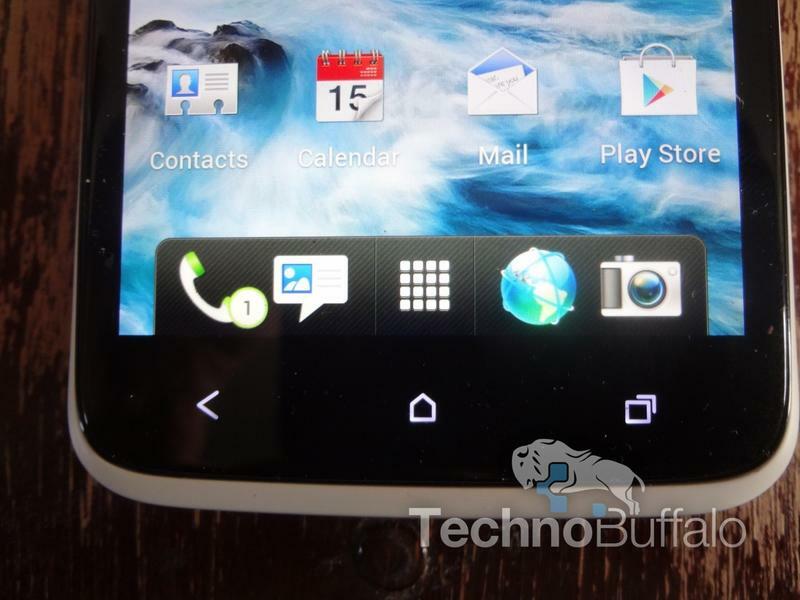 Like several of HTC's other phones there's an option to activate speakerphone by placing the phone face-down, which is cool, but who really wants to place an incredible HD display face down? I don't. My biggest gripe with calls was that background audio came through super clear. I had a conference call from the airport in which many of my co-workers could hear everything going on behind me, which was annoying, so I had to put myself on mute. There aren't a ton of phones on the market today that offer excellent background filtering, though, so I'm not going to dock the One X score for that. Call quality is solid, and that's what matters most to me. I have yet to experience a dropped call, although I did lose data in a coverage area that's known for terrible AT&T service in New York City — right around 23rd street off of the FDR in NYC. I was able to get a full day with moderate usage from the phone's 1,800mAh battery but, under heavy usage, during which I surfed the web, checked email, took photos, checked Twitter frequently and more, I found I had to charge the phone by 3 or 4pm. That's not terrible, especially since HTC clearly focused on keeping the phone thin, but I do wish I was able to get an absolute full day out of it and I never was. 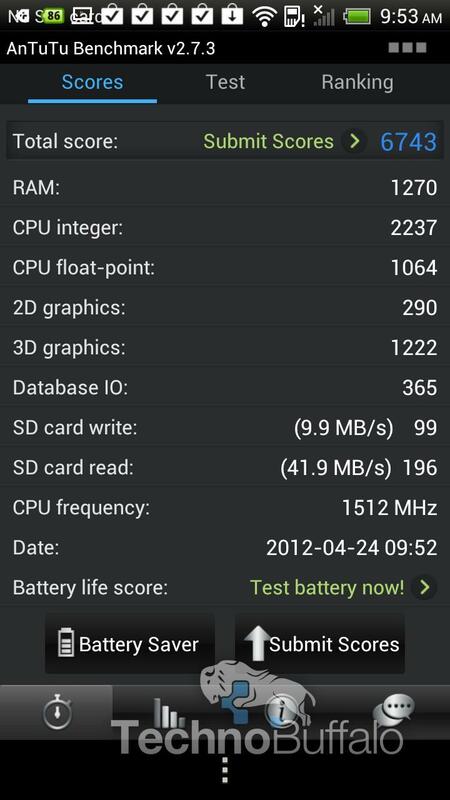 AT&T's HTC One X fared very well in various benchmark tests. 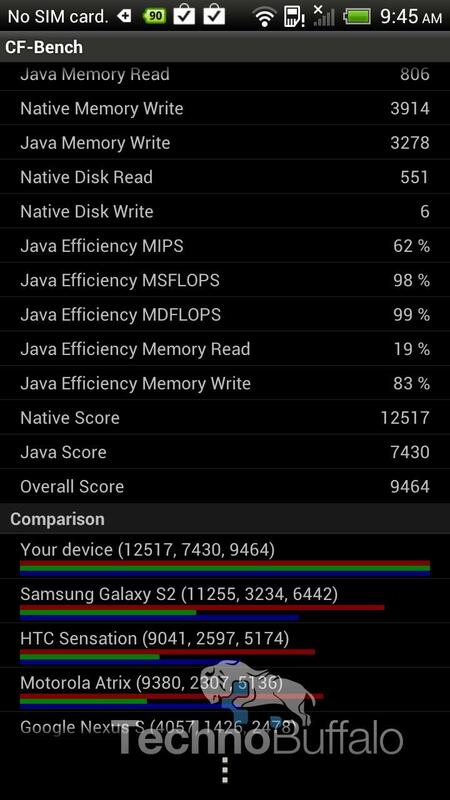 It scored 5,055 in Quadrant, killing the already popular Galaxy Nexus and the Nexus S. It also received a score of 5,791 in AndEMark Native, and crushed the Galaxy S II, HTC Sensation and the dual-core Motorola ATRIX in CF-Bench with an overall score of 12,517. 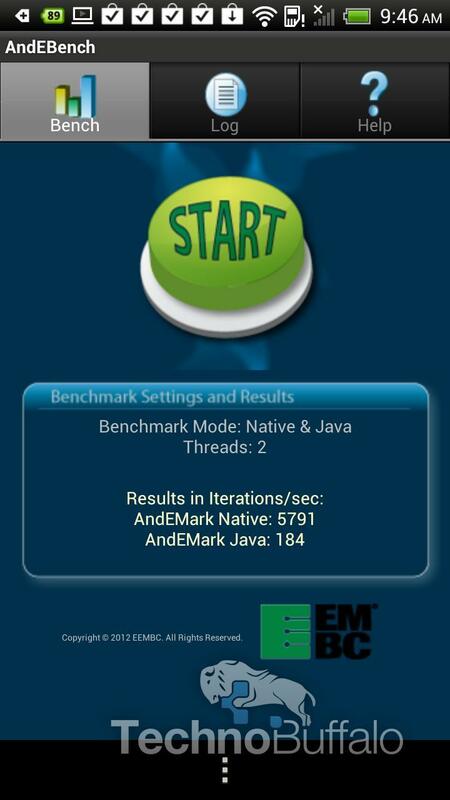 Additional benchmark screenshots can be found in the gallery below. There's no question AT&T's One X has set the bar for Android smartphones in the United States. I've even ditched my iPhone 4 in favor of the device, and don't plan on looking back anytime soon. Don't think twice if you're in the market for a new smartphone, just head right to your nearest AT&T store. 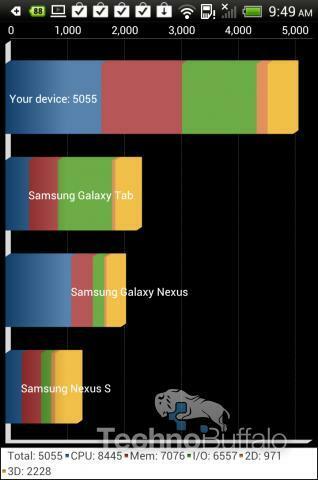 The One X is that good. 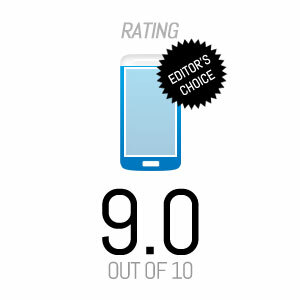 In fact, we think it's the best phone in AT&T's currently lineup and that's why the HTC One X handily deserves our first-ever editor's choice award for a smartphone. 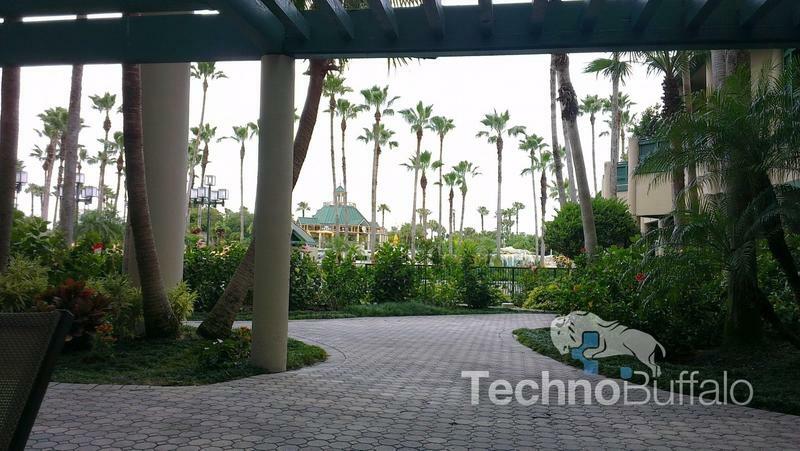 We wish there was a way for the carrier to have included NVIDIA's quad-core Tegra 3 chip and 4G LTE connectivity, for a graphics boost, but the Snapdragon S4 chip performed excellently, too.